One of the most readily-refuted creationist claims is the absence of transitional fossils. not only is he showing that he fails to grasp the fact that evolution is not a linear progression from microbe to man, but a bushy branch as one would expect from a process of descent with modification, he is positively shouting his ignorance of palaeontology to his informed readers. If we look at the consensus cladogram of tetrapodomorphs, we can see that palaeontologists do not think that tetrapod evolution is a linear process from fish to tetrapod. Rather, we see fossils with those features that reflect a transition from aquatic to terrestrial life, such as limbs capable of moving on dry land, and a transition towards breathing. The transition from a aquatic existence to a terrestrial existence is well documented as evidenced by a splendid series of transitional forms, which I will document in some detail. No apology is made for this – Pearce has claimed that there are no intermediates, and the best way to show how utterly uninformed he is on the subject is to show in detail why this claim is wrong. FIGURE 1. Nostril positions on the heads of sarcopterygian fishes. FIGURE 2. Photographs of Kenichthys campbelli specimens. Kenicthys is clearly a tetrapodomorph, and it displays exactly the intermediate condition that would be predicted when assuming that the tetrapod choanae were posterior nostrils displaced into the palate, in the same way as in lungfishes. The posterior nostrils of Kenichthys are actually right at the margin of the upper jaw, interrupting the outer dental ‘arcade’ formed by the premaxillary and maxillary bones. FIGURE 3. Morphology of Kenichthys. FIGURE 1. The hole picture. A specimen of Osteolepis macrolepidotus from the Middle Old Red Sandstone of Tynet Burn, Banffshire, in the Museum of the Zoological Department of University College, shows with perfect clearness a cast of the cavities left in the completely ossified otic capsule of both sides. The specimen is illustrated in the photograph. Note that this reference dates to 1925. Given its antiquity, Pearce has no excuse for failing to inform his readers of the existence of this fossil. If he had properly researched his subject and consulted experts in the area, he would have been well aware of this transitional fossil. Once again, it shows that he is not in a position to make any authoritative comments on this subject. 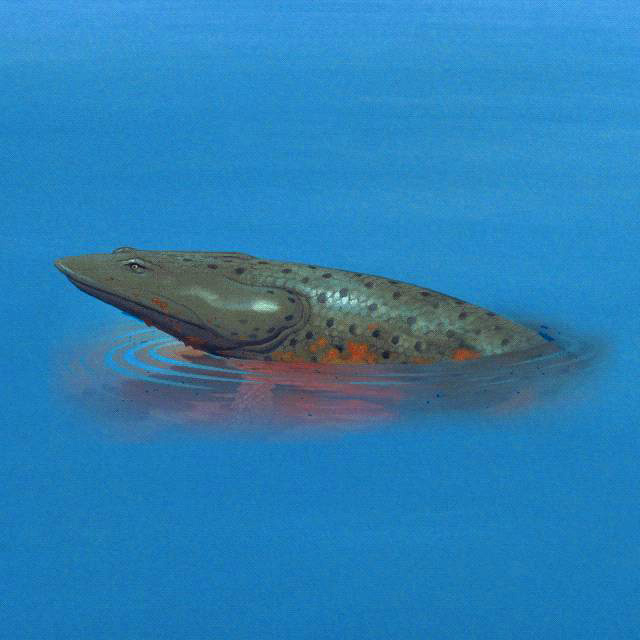 Eusthenopteron: 385 million year old lobe finned fish which has many transitional features indicating that it was well on the way to becoming a tetrapod. It has paired fins with distinct ulna, radius and humerus in the front fins, and fibula, tibia and femur in the rear fins. These are the arm and leg bones in tetrapods like us. The presence of fin rays differentiates limbs from fins, so Eusthenopteron is viewed as a fish. However, its fins have strong tetrapod-like features – forelimb bones homologous to the humerus, ulna and radius. It is a fish with limbs but no hands or feet. Creationists who talk about the creation of fixed ‘kinds’ in which limited evolution occurs do not have the luxury of resorting to this tactic, as objectively, this fossil has features that are fish-like, and features that are tetrapod-like. The presence of fin rays is one of the diagnostic criteria for defining a taxon as fish, so special creationists are fond of dismissing such fossils as fish with mosaic characteristics. However, that is exactly what palaeontologists regard this lobe-finned fish. A lobe-finned fish with a mosaic of tetrapod and fish characteristics is a fossil with transitional features. Gogonasus: this is a lobe finned fish that has a tetrapod-like middle ear and bones in its pectoral fins that were tetrapod-like. Its skeletal anatomy  shows that it was more tetrapod-like than Eusthenopteron. FIGURE 1. Cranial features of Gogonasus andrewsae, NMV P221807. FIGURE 2. Pectoral fin skeleton of Gogonasus andrewsae, NMV P221807. Flatter skull with a longer snout and larger, more dorsally placed eye sockets. Humerus and shoulder girdle larger and more like that of a tetrapod as compared to Eusthenopteron. Spiracular cleft is larger than that in Eusthenopteron, and approximates that of a tetrapod. In fact, it may have been open to the outside, which is a feature associated with air breathing. Figure 1 Pictures and drawings of Panderichthys rhombolepis, specimen GIT434-1. The morphology of the pelvic fin of Panderichthys is a combination of primitive, transitional and unique characteristics that provide crucial information about the evolution of the tetrapod hindlimb and the origins of tetrapod locomotion. FIGURE 2. Comparison of pectoral and pelvic fins. Per Ahlberg, one of the leading experts in early tetrapod evolution notes that this fossil is a grade intermediate  between Panderichthys and tetrapods. Spiracular chamber opening is more rounded. a, Stereo pair of left pectoral fin of NUFV 108 in dorsal view showing disparity in size and position of anterior (alp) and posterior (plp) unjointed lepidotrichia and the relative position of dermal girdle elements. b, Right pectoral fin of NUFV 110 in anterior view showing preservation of anterior lepidotrichia (alp), clavicle (cl), scales (sc) and endochondral bones in articulation (H, humerus; U, ulna; u, ulnare; r, radials). The anterior lepidotrichia terminate at the elbow, thus allowing a full range of flexion at that joint. c, Right pectoral fin of NUFV 110 in ventral view showing positions of coracoid (co) and endochondral and dermal fin elements. an, anocleithrum; cb, ceratobranchial; clth, cleithrum; int, intermedium; ri, rib; suc, supracleithrum. - Shubin NH, Daeschler EB, Jenkins FA. The pectoral fin of Tiktaalik roseae and the origin of the tetrapod limb. Nature. 2006;440(7085):764-71.
a, Dorsal view; b, ventral view. Elements with stipple shading were preserved in articulation in NUFV 109 and prepared in the round. Elements with a dashed outline are reconstructed based on their presence in the articulated distal fin of NUFV 110. It is not known how many radials lie distal to the first, second and fourth in the proximal series. Note the dorsal expansion of the distal articular facets on the ulnare and third distal radial/mesomere. The dorsal expansion of these facets would have facilitated extension of the distal fin. - Shubin NH, Daeschler EB, Jenkins FA. The pectoral fin of Tiktaalik roseae and the origin of the tetrapod limb. Nature. 2006;440(7085):764-71.
a, Dorsal view; b, ventral view; c, medial view; d, posterior view. ac gle, anterior cam of glenoid facet; cf, coracoid foramen; clth, cleithrum; co, coracoid; gle, glenoid facet; sp, scapular process. The hatched area is covered by matrix. - Shubin NH, Daeschler EB, Jenkins FA. The pectoral fin of Tiktaalik roseae and the origin of the tetrapod limb. Nature. 2006;440(7085):764-71. Unlike other tetrapodomorph fishes (1), Tiktaalik has reduced the unjointed lepidotrichia, expanded the radials to a proximal, intermediate and distal series, and established multiple transverse joints in the distal fin. The fin also retains a mosaic of features seen in basal taxa. The central axis of enlarged endochondral bones is a pattern found in basal sarcopterygians and accords with hypotheses that a primitive fin axis is homologous to autopodial bones of the tetrapod limb. In some features, Tiktaalik is similar to rhizodontids such as Sauripterus. These similarities, which are probably homoplastic, include the shape and number of radial articulations on the ulnare, the presence of extensive and branched endochondral radials, and the retention of unjointed lepidotrichia. Figures redrawn and modified from Glyptolepis, Eusthenopteron, Panderichthys, Acanthostega and Tulerpeton. - Shubin NH, Daeschler EB, Jenkins FA. The pectoral fin of Tiktaalik roseae and the origin of the tetrapod limb. Nature. 2006;440(7085):764-71.
a, b, Anterolateral view. c, d, Ventral view. a, c, Resting posture with the fin partially flexed at the antebrachium. In this position the radius is slightly more flexed than the ulna. b, d, Resistant contact with a firm substrate entails flexion at proximal joints and extension at distal ones. The shoulder joint is flexed by ventral muscles, including the trans-coracoid muscle. The elbow is flexed (d, arrow 1), with slight pronation of the radius (d, arrow 2) and rotation of the ulna (d, arrow 3). The transverse joints distal to the ulnare and intermedium are extended (d, arrows 4). - Shubin NH, Daeschler EB, Jenkins FA. The pectoral fin of Tiktaalik roseae and the origin of the tetrapod limb. Nature. 2006;440(7085):764-71. Type specimen (NUFV108): ventral surface of cranial block (figured in ref. 6) aligned in preserved position with ventral view of the block containing the pelvic fin. (Inset) Line diagram of lepidotrichia and preserved portions of endochondral bones of pelvic fin. f, fin; i, intermedium? ; l, lepidotrichia; r, radials. Acanthostega (Top), Tiktaalik (Middle), and Eusthenopteron (Bottom) reconstructions with pectoral and pelvic girdles (proportions were derived from refs. 10, 16, and 17 and NUFV108). Ventastega: this is a late Devonian tetrapod with fish-like features. It is classified as a tetrapod on the basis of material from its lower jaw and girdle. Its shoulder and hip girdle, which closely resemble that of the tetrapod Acanthostega, allowing one to infer the presence of digits. Its skull, which is intermediate in appearance between that of the fish Tiktaalik and the tetrapod Acanthostega. Its braincase, which shows a mix of fish-like and tetrapod-like features. Acanthostega: was a Devonian tetrapod living around 370-360 million years ago. It had limbs with digits, but retained a number of fish-like characteristics. Despite the presence of legs, it was poorly suited to terrestrial life as it could not support its weight on land, and was therefore mainly aquatic. The fish-like features of Acanthostega include a tail fin supported by long bony rays, to make an oar shape. Fin rays had been found in the tail of Ichthyostega, but they were much shorter and less numerous. The ribs of Acanthostega are short and slender and much the same all down the length of its body… Ichthyostega was known to have had broad overlapping ribs at least in its trunk region. In the skull, Acanthostega has a slot running down the midline of the snout, similar to the gap found there in Ventastega...Acanthostega also retains a set of well-ossified grooved gill bars, suggesting that these were still actively involved in gill breathing, though it probably breathed air by gulping as well. In other respects, Acanthostega showed some typical tetrapod features. It has a robust pelvic girdle and a large femur. It is the pelvic region and the hind limb that most conspicuously distinguish a fish from a tetrapod, and that distinction is still valid among modern animals. In fish, the pelvic girdle is usually small and not attached to the vertebral column and the pelvic fin is diminutive, whereas in tetrapods, the pelvic girdle is large, attached to the vertebral column and bears the substantial hind limbs that provide most of the propulsive power in walking. In Acanthostega, although the pelvic girdle is enlarged, it is still relatively small compared with later tetrapods and was only attached to the column by soft tissue rather than a bony junction. Some excellent specimens showed that it had eight digits on the forearm…and almost certainly eight (or maybe more) on the hind limb. That they are so neatly laid out in the fossil may be because they were enveloped in a web of skin. The wrist bones were not ossified, but it is clear that the digits were arranged in a broad arc around where those bones would have been, but the result would not have made a flexible or supportive wrist. The limb was in effect a paddle…Similarly, although the ankle bones are well ossified, they do not show an obvious joint surface along which the limb could bend. Again, the limb seems to have been a paddle. From that evidence, it was suggested that limbs with digits first evolved not for walking on land but for swimming or wading through water. Ichthyostega: this was another Devonian tetrapod with fish-like features, and like Acanthostega not fully suited to terrestrial life. If Acanthostega is a mixture of fish-like and tetrapod-like characters, Ichthyostega is a mixture of apparently aquatic specializations with others that appear more modified for land excursions. Recent study has revealed a rather different animal from the old image of an overlarge salamander-like body form. Pederpes: this was a tetrapod living around 360 to 350 million years ago that had five digits on its hind limbs, and six digits – five formed and one vestigial – on its front limbs. This details more evolutionary change from the earlier tetrapods as inferred from Ichthyostega and Acanthostega, which had more than five digits. Again, we see the mosaic of fish-like and tetrapod-like features, but with a definite progression towards terrestrial life. This – yet again – is another transitional fossil which along with the earlier taxa shown illustrate large-scale evolutionary change from lobe-finned fish to tetrapods. What we have seen here clearly demonstrates the large-scale evolutionary changes that took place between lobe-finned fish and tetrapods. Excellent evolutionary transitions can be found elsewhere, but space prohibits further comprehensive examination. Some of the more notable evolutionary transitions include the evolution of whales  from artiodactyls, the evolution of the mammalian jaw and middle ear [23-26] in which two reptile jaw bones became detached and incorporated into the mammalian middle ear as the incus and malleus, as well as the evolutionary trends in terrestrial hoofed mammals. 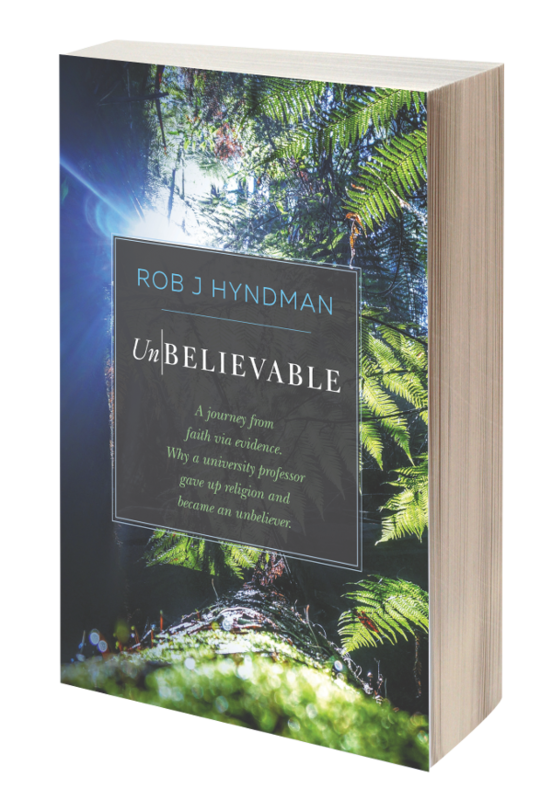 The picture of change that we see is that of unambiguous large-scale evolutionary change, one which exposes as vacuous and uninformed claims by creationists such as David Pearce that transitional forms are not found in the fossil record. Pearce simply does not know what he is talking about. Shubin NH, Daeschler EB, Jenkins FA. 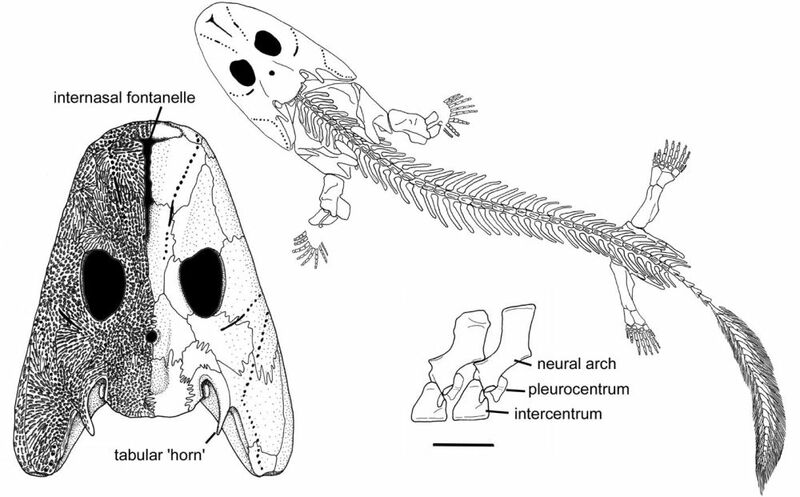 The pectoral fin of Tiktaalik roseae and the origin of the tetrapod limb. Nature. 2006;440(7085):764-71.